This is the opening line of an incredible story written and illustrated by Erminia, a young immigrant from El Salvador. At fifteen, Erminia’s mother gave her a stark choice: stay with the family but endure a life of poverty, violence, and a bleak future, or embark on a dangerous journey alone to America in pursuit of a good education and a better life. Despite her love for her family, Erminia decided her only choice was to leave El Salvador so she could further her education. She spent five days in a detention center in Mexico but persisted. She walked for three days and two nights across the desert– in her socks, with one small bottle of water. After several weeks, she managed to cross the Rio Grande and find her way to the United States. I met Erminia a few weeks ago at our launch event for Voces sin Fronteras (Voices without Borders) — a remarkable book written and illustrated in graphic novel form by sixteen teenage immigrants from Latin America. 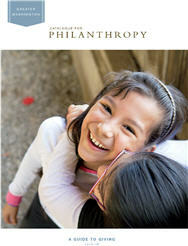 Proceeds from the book sales support a scholarship fund for Latino youth immigrants. Amidst today’s highly charged debate on immigration, this book provides a rare chance to hear directly from youth who are often in the headlines but whose stories aren’t told in full. 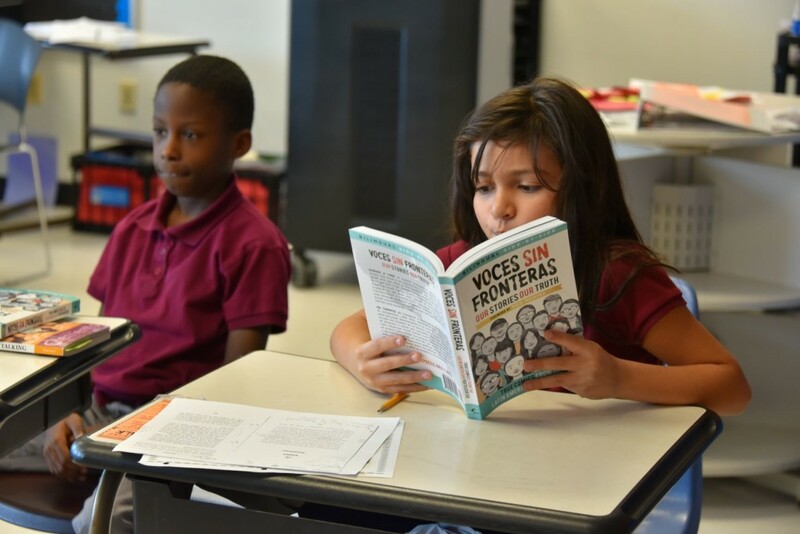 This collaboration between young people from the Latin American Youth Center (LAYC) in Washington, D.C. and Shout Mouse Press, a nonprofit writing program and publishing house dedicated to amplifying unheard voices, has produced a powerful collection of stories about family, loss, ambition, and change that provide a much-needed human connection to the immigration crisis. These moving personal accounts challenge us and inspire greater empathy for the individuals who leave everything behind for an education. As Erminia, Rosa, and Sebastian — three of these courageous authors — shared their stories in the back corner of a DC bookstore, my eyes welled up with tears more than once as I listened to the hardships and heartache they endured in search of a better life in this country. Their quest for a better life that hinged upon the opportunity for a quality education has borne fruit. Erminia, Rosa, and Sebastian are all currently enrolled in college, pursuing their dreams of becoming a lawyer, a doctor, and a graphic designer. I am the daughter of Chinese immigrants. My father left Taiwan with a few dollars in his pocket and journeyed in a cramped freighter for 52 days to further his education in America. His story is not uncommon, as the desire to educate children for a brighter future is universal. Immigrants from all corners of the globe uproot their lives and leave everything behind with this simple goal in mind. Providing this hope to the world’s children should not require the sacrifices that Erminia and countless others have made. What my own children take for granted — a free, quality education — should not be a matter of life or death for so many others. Today, more than 260 million children are not in school. If the world does not wake up to this tragedy, by 2030, half of the world’s young people — 825 million — will be unprepared for the workplace of the future. We must recognize the full human and economic costs of an uneducated populace, and find the will in developing and donor countries alike to prioritize and increase the funding of education. Children should not have to choose between their families and an education. They should not have to risk their lives and walk across the desert without shoes to get a place in a decent school. The world must recognize education as a human right, a civil right, and an economic imperative — and act accordingly. Lana Wong is the Community Impact and Partnerships Director at Shout Mouse Press.